In yesterday's New York Daily News the paper published an article that claimed that the City and UFT are closing in on a seven year contract that apparently will include the two 4% raises and the "retroactivity" that goes along with it. According to the article the contract runs from 2009 to 2015 or seven years and includes raises totaling 15% (4%,4%,0%,1%,2%,2%,2%). However, excluding the two 4% increases from the last "City pattern", the final five years will total 7% and quite probably establish a new "City pattern" for all the Municipal unions. If the Daily News article is to be believed then the new "City pattern" will be 7% for five years and is totally inadequate when compared to other recently negotiated settlements in the Metropolitan area. For example the TWU/MTA agreement gives the members 8.25% for five years and also includes significant benefit enhancements that amount to another 2% annually. While the SEIU 32BJ (doormen and handymen) settled for a 11.3% increase for four years!. Finally a federal mediation board recommended a 17.3% raise for six years for Long Island Railroad workers. All of these contracts are significantly better than the proposed coontract between the City and the UFT. Below is the breakdown of the raises for the various contracts. Note, the TWU contract includes significant benefit enhancements such as a universal pass for all MTA transportation facilities, improved death benefits, optical and eyeglass coverage and paid maternity leave that is estimated as about 2% annually. I could understand a 7% increase for five years if there was zero inflation and if the City was in dire economic straights but that's not the case. First, inflation in the New York City Metropolitan area has averaged 2.2% for the last three years (2011-13). According to the proposed contract, we would get raises of 0%, 1%, and 2% in those three years for an average raise of 1%. Moreover, the City has been seeing major surpluses as the economic environment has continued to improve. In fact, Economist James Parrott of the Fiscal Policy Institute found that the City can afford to give "full retroactive raises" and modest raises for the new "City pattern". This is because the City's has experienced a large jump in tourism, stock market gains (30% last year), increased tax receipts, higher real estate prices, and lower unemployment. Mr Parrott's analysis correlates with Mel Levy's breakdown of the City's budget and shows the City's has surpluses that allow for adequate raises for Municipal employees as well as full "retroactive raises". Hopefully, the union realizes that the City is hiding much larger surpluses than they claim and that the City's ever improving economic condition allows for raises that at least equals the inflation rate as well as full "retroactive pay". How will the retroactive pay be handled? The "devil will be in the details" but I suspect it will be stretched out to the end of the new contract, Finally, I hope the union is not trading Time for money That is totally unacceptable. Update: The new York Times has reported that the City and the UFT has agreed to a 9 year contract and will be announced on Thursday, Here. The Wall Street Journal reports that the ATR rotation will be eliminated as well Here. Chancellor Carmen Farina's First Four Months Have Been Disappointing. The first four months of Carmen Farina's tenure as Chancellor of the New York City Schools has been very disappointing. While she has made a few changes at the top (too few), she has failed to "clean house". The result is that there has been no "change of tone" of the "gotcha mentality" at the DOE. While Chancellor Farina has talked about changing the way things are done at the DOE, there is no discernible change for the classroom teachers when it comes to the mandates from Tweed that overwhelm teachers with loads of unnecessary paperwork and subject to vindictive administrators. It certainly didn't help her creditability and accountability either when the new Chancellor had a "Cathie Black moment" when she failed to close schools during a blizzard. True, the Chancellor has changed the requirements to become a Principal and that's good but she has failed to eliminate the perverse "fair student funding" that forces schools to hire the "cheapest" and not the "best teachers". Furthermore, she had a chance to stop the useless weekly rotation of excessed teachers and leave them in place for the rest of the school year. Instead, she allowed this travesty to continue while falsely claiming that she instructed principals to interview ATRs for their vacancies (no Principal remembers her actually saying that). Of course, with the present DOE budgeting process in place, saying and doing are two entirely different things since salary is a major issue here. Moreover, she has failed to change the tone at the DOE and the "gotcha mentality" that was the hallmark of the Bloomberg Administration and is pervasive throughout the department that we teachers feel it every day. Finally, her failure to eliminate the money sucking and useless "Children First Networks" is a failure in her resolve to change things for the better. I also must point out that her failure to "clean house" at the DOE is why teachers and school based personnel still feel as if the "icy winds" of the Bloomberg years has continued and UFT President's statement that he already sees a "change of tone" at the DOE is simply a mirage when it comes to what's actually going on in the classroom. To the classroom teachers, the DOE is still the enemy and until their policies and unwanted mandates end that perception will continue. To Chancellor Carmen Farina, you talk about supporting teachers but when it comes to real action, there is little or no real change to the hostile environment coming out of the DOE. 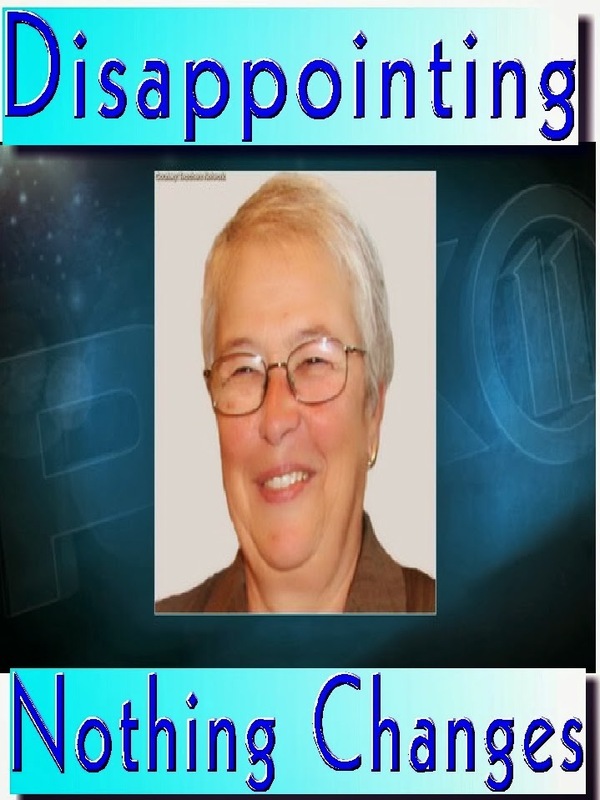 My grade for the new Chancellor for her first four months is a "D" for disappointing. How The DOE Budgeting Process Forces Principals To Cut Corners At The Expense Of Their Students. Under the Bloomberg Administration there were many changes to the decades old Board of Education. Most of them bad. First it became the Department of Education, then the Superintendent staff was replaced by the useless and money sucking "Children First Networks" (CFN) effectively excluding parents since many of the CFN's were located in different Boroughs than their child's school. The administrative quality of school leadership saw a sharp decline as the Bloomberg administration tried to use a "corporate model" that saw non-educators take charge of the DOE at Tweed. The DOE experienced large increases in hiring accountability managers, lawyers and no-bid high priced consultant contracts. All this took away money that could have went to the schools and the students. Additionally, under Michael Bloomberg's tenure approximately 163 schools closed, including most of the large comprehensive high schools and the DOE, through the "Leadership Academy" was giving principal positions to people with little or no classroom experience for the newly created small schools. However, the worst was the new DOE budgeting process that dumped the salaries of staff on the schools and combined with the "fair student funding" forced principals to seriously consider salary when hiring teachers. The result was a younger, cheaper, and inexperienced staff which is what Mayor Bloomberg was hoping for but didn't result in better academic outcomes for the students but then it never was about he students. In the last term of Michael Bloomberg's tenure class sizes rose, schools closed, and veteran teachers found themselves out of their classrooms with little hope of landing a new one because of age and salary. Combine that with the "Leadership Academy Principals" who are encouraged by their CFN's to hire "newbie teachers", and the demonetization of veteran teachers the ATR pool exploded and is 2,000+ strong. Has this helped student academic achievement? The answer is no. In fact the income/racial academic achievement gap actually widened over the Bloomberg years. Why hasn't student academic achievement improved? Let me count the ways. Under the DOE budgeting process here are just some of the ways principals have cut corners and saved money but hurt student academic achievement in the process. First, the principals are hiring the "cheapest" and not the "best teachers" for their students due to DOE budget restrictions. Second, class sizes are getting larger as principals are "packing students in" to save on teacher salaries. Third, Science courses have been and are being reduced from five instructional days, with lab to four instructional days weekly. Fourth, Advanced Placement courses are being reduced from double periods to single periods. How many students will get college credit with that handicap? Fifth, inclusion or co-teaching classes not having a second teacher in the room. In many schools the weekly rotating ATR becomes the second teacher in these classes. Sixth, teachers teaching outside their subject area. Very common in Science, especially Earth Science. 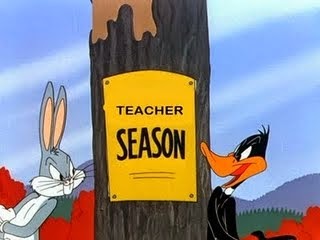 Seventh, employing "F" status people to fill teaching positions. Finally, the widespread use of teaching a "sixth period" tires out teachers since the DOE pays for the "sixth period" Principals push teachers to take the extra period. What is the solution for Principals to do "the right thing" for their students? 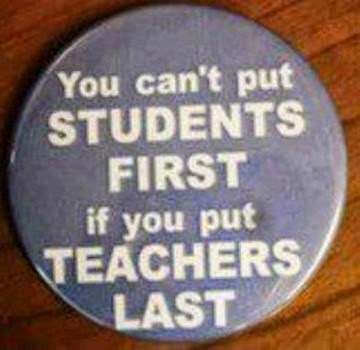 Simple, eliminate the "fair student funding" and make teacher salaries as units and coming from DOE Central. This will eliminate many of the "shortcuts" that Principals must do to save on their budget and help improve student academic achievement. Its "children first"...right? Finally, At Least One Journalist Got It Right About Why Principals Won't Hire ATRs - Its About The Money! I was pleasantly surprised when I read Charkbeat and saw the article Geoff Decker wrote about the contract negotiations that also included the ATR issue. While he didn't specifically identify the "fair student funding" as the culprit, the article did show that principals took money into account in their hiring decisions and that the DOE budgeting was the cause. This is the first article I have read where the money equation was factored into a school's hiring decision. The Chalkbeat article also referenced my blog where I explained why principals hire the "cheapest" and not the "best teachers" and you can find it here. The Chalkbeat article was fair and presented both sides of the ATR issue and to me that is real journalism, not he ideological attacks the ATRs have faced from the City newspapers who still blindly follow the Bloomberg line of a corporate model that has shown to have failed when it comes to public education. 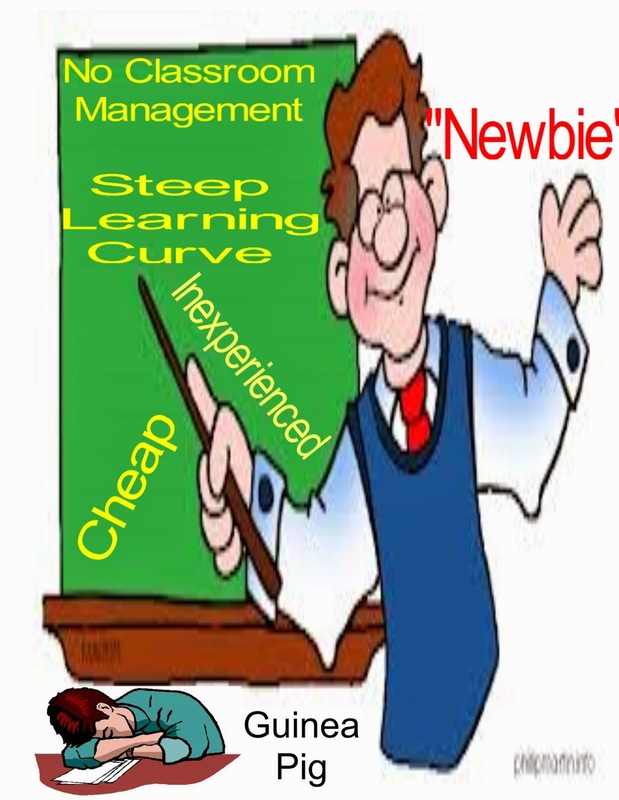 Moreover, these very same newspapers always seem to ignore how a "newbie teacher", with a steep learning curve ahead, is good for student academic achievement. I guess, for them its "don't let the facts get in the way of a fairy tale" that the Bloomberg administration's "education on the cheap" policy is good for student outcomes. Interestingly, according to the article, the City has not asked for an ATR time limit in their negotiations but are trying to work out an arrangement with the union to get the ATRs back into the classroom. This will make the corporate education reform groups and their media allies very unhappy but putting the ATRs back into the classroom will be what's best for the students. To counter the building seniority issue, the ATR will be picked up "provisionally" for the first year and if the ATR and the Principal both agree, the ATR is appointed for the second year and gains his or her building seniority. Back to the money issue. Maybe our union needs to be be more proactive and explain how the DOE budgeting system works against students having the "quality teachers" they deserve not the "inexperienced teachers" that principals are hiring which is not in the best interests of student academic achievement. The City Is Hiding A Surplus Of Over $6 Billion According To Financial Guru Mel Levy. 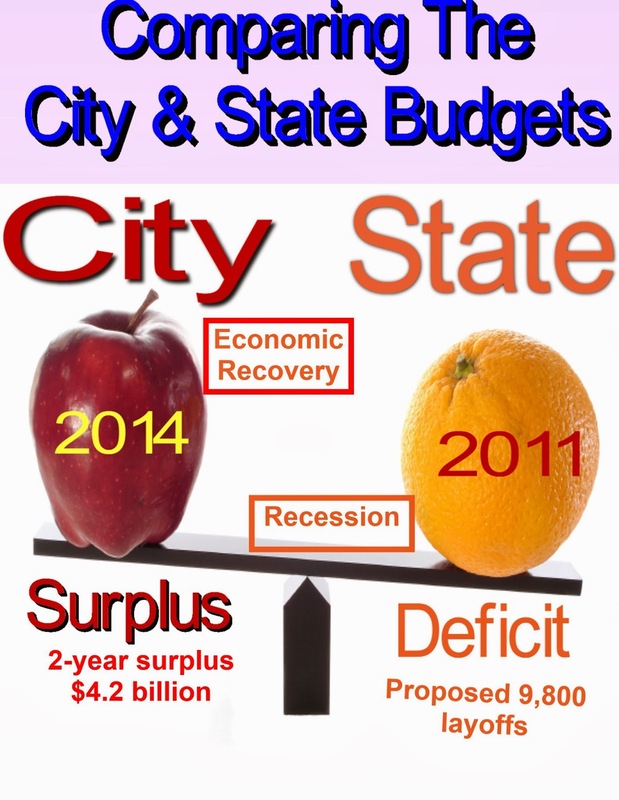 Under the Bloomberg years the City vastly understated revenues and overstated debt and always projected a deficit. Of course as the budget came due, not only did the deficit disappear but a modest budget surplus was found to fund the Mayor expensive programs. Well Michael Bloomberg is gone and the Bill de Blasio Administration finds itself with large surpluses of $4.2 billion dollars for the next two years. However, between $6 to $8 billion dollars are owed to the unions that would more than wipe out the projected surplus. But wait the financial guru Mel Levy, the former chairman of the Civil Service Technical Guild who found the City was vastly underestimating their surplus in his article in the "Chief". According to Mr. Levy, the City is hiding a really big surplus. He states the City's claim of paying $6 billion dollars for health benefits for its employees is more like $3.5 billion annually. A savings of $2.5 billion a year. Next, the City incorrectly charges sick, holidays, and vacation days as overhead but in reality is already accounted for in the Municipal worker salary. The phony debt is worth $3.14 billion dollars annually. The pension funds must kick back to the City any investment over 8% of a return. Therefore, the pension fund averages slightly over 8% and "kicks back" to the City over $2 billion to add to the surplus. Finally, under the low inflation environment, the City has called in their high interest bonds and reissued them at a much lower rate, saving the City $1,5 billion annually. This does not include having more work done "in house" which would save billions more. If Mr. Levy is correct, the City is hiding over $6 billion dollars over and above the $2.4 billion dollar surplus this year. Therefore, the real City surplus is over $8 billion and is more than enough money to cover full"retroactive raises" as well as providing a cushion for the years going forward. In fact, if you add up the cost savings and do not include the billions saved by doing more work "in house' and If we exclude the $2 billion dollar savings from the pension windfall from the calculations, it still comes out to a surplus of $6.64 billion which added to the existing $2.4 billion dollar surplus makes a total surplus of $8.88 billion. In the past Mel Levy showed that the Transit Authority's $232 million dollar deficit was really a $97 million dollar surplus and has shown to be able to find the extra funds in the "nook and crannies" of a budget and is known as a financial guru and his work needs to be respected. Can the City afford "full retroactive raises"? The answer is yes! In the New York Post today the clueless Campbell Brown wrote an article called A 'common sense' NYC teachers contract. In the article she recommended what changes should be made in the next teachers contract being negotiated with the De Blasio administration. Of course, she's still on the kick that teachers accused of sexual misconduct should be terminated by the Chancellor even when the independent arbitrator, who are selected by both sides, when presented with the actual evidence or lack thereof found no sexual misconduct. Interestingly, Campbell Brown now suddenly demands that parents and students have input into the process. Funny, when Michael Bloomberg was Mayor and excluded parent and student input, Ms. Brown never bothered to include that in her demands. I wonder why the change of heart? Furthermore, Ms. Brown wants ATRs to have a time limit while failing to identify the real problem the "fair student funding" that forces principals to hire the "cheapest" and not the "best teachers" for their students. Moreover, Ms. Brown wants "merit pay" and eliminate seniority and education as a factor to determine salary level. 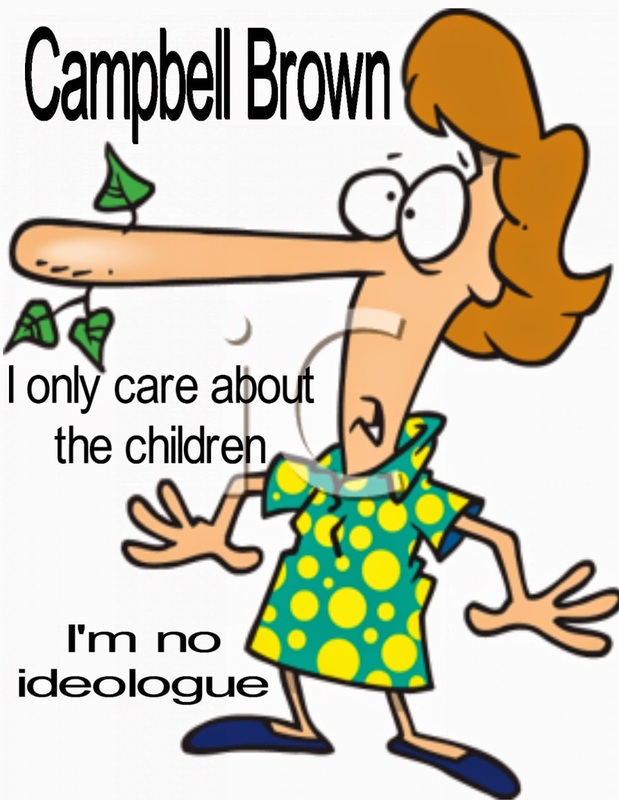 Finally, Ms. Brown wants teachers to be available 24 hours a day for parent correspondence, as if we teachers don't have families and obligations of our own.Her ideology seems to interfer with the facts but that's nothing new when it comes to the clueless Campbell Brown. The bottom line is that Campbell Brown's 'common sense' contract lacks "common sense" since she ignores the root cause of the issues and her ideological bent is showing by first ignoring Mayor Michael Bloomberg's exclusion of parent input only to demand it now that Bill de Blasio is Mayor. To me Campbell Brown is clueless, a hypocrite, and most importantly, an ideologue that ignores the facts just to get her warped point of view some attention. Note: As I predicted, Leslie Brody of the Wall Street Journal conveniently ignored my letter to her and failed to mention the role the DOE budgeting practice that resulted in the formation and maintenance of the ATR pool. In no place in her article did she mention the "fair student funding" that required principals to hire the "cheapest" and not the "best teachers" for their students. To me her failure to mention this shows that she is a corporate education reformer since these groups must ignore this issue to demonize veteran teachers. While her article didn't call the ATRs "unwanted or bad teachers". Her failure to address the DOE budgeting issue was a "fatal flaw" and shows that she either doesn't understand the process or refused to write about it since it wasn't convenient to what she was telling the public. In either case, Leslie Brody did a poor job explaining the problem. Michael Mulgrew was quoted in the article that three quaters of the ATRs are offered positions. However, he was being disingenuous since approximately 5% of them are actually appointed to a permanent position the rest are covering long-term leave replacements or "provisional hires" who will be dumped back into the ATR pool at year's end. One of the major perks that we educators have is the retirement system that goes a long way to provide us with lifetime security. If I look at the three stools of retirement, our retirement system provides us with two of the three. A pension, and savings, with social security being the third leg of the stool. Is it any wonder that the newspapers are always claiming that our pensions are too generous by calling it the "pension bomb". However, many of my fellow educators don't take full advantage of what's offered to us and that's a shame. We are known as New York City's "smartest" but when it comes to "financial smarts" we are lacking. Hopefully, I will try to enlighten my fellow educators on how to take advantage of what the retirement system gives us. We are blessed with a pension plan that can give us a 40% pension after twenty years of service and 60% after thirty years, using the highest three consecutive years of employment. If one is fortunate enough to qualify for the 25/55 program, even better. For tiers 1 to 4 it's very important to finish the twentieth year, since your pension jumps up from 31% after nineteen years to 40% after twenty years for the majority of teachers in the system. Since tier 5 and tier 6 educators have few years in the system, the pension is far away and they have requirements that require twenty-five years for maximizing the pension. Moreover, for tiers 1 to 4 educators, there is no employee contribution to their pension after completing ten years, the City must fund the entire cost. For tiers 5 and 6, employee contributions continue throughout their employment (if you are in the tier 4 25/55 program, employee contributions of 1.84% for that program continue to retirement). You can retire as early as 55 but unless your in the 25/55 program, or have 30 years of service, there will be a significant age reduction factor that will reduce your actual pension. See below. For tiers 2-4 vesting occurs after 5 years while for tier 5-6 you need 10 years. One of the real perks is the ASAF annuity that is added to the pension. Once a teacher reaches their final step increase (8b), every year thereafter the teacher receives $400 yearly which has a 5% interest added to the balance. Teachers who have approximately 25 years in the system can expect the ASAF fund to have about $15,000 in it and is annualized to add an extra thousand or so to the yearly pension. For administrators it is $550 annually. This is a 403b plan known as the TDA. Contributing to the TDA can make or break an educator's retirement plans. Since this is a tax deferral instrument, the more an educator contributes to their TDA, the less they are taxed since the amount taken out of the paycheck is not subject to federal, state, and local taxes until the money is taken out of the TDA. For teachers 50 years old and older, the "Fixed Income Fund" guarantees 7% return annually and in this low inflation environment (between 1-3%) its the best deal in town and most of the TDA should be in the "Fixed Income Fund". For younger teachers, the "Fixed Income Fund" should be a part of your TDA and use it instead of the bond fund which has low yields and far lower returns. Unfortunately, many educators fail to take full advantage of the TDA and put too little into it. 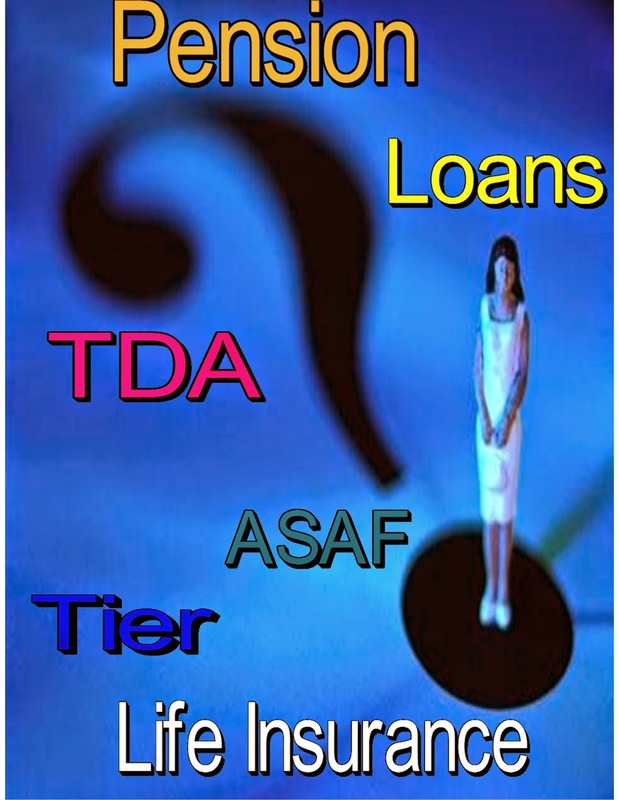 The more an educator puts in the TDA, the better retirement he or she will have. For school administrators it's 8.25% until the next contract. The maximum contribution is $17,500 and if over 50 years of age $23,000 for 2014. Cinally, only 70% of the educators re thing advantage of this benefit, it should be 100%! For tier 4 and 5 employees, ten full years of service entitle the educator for lifetime retiree benefits and this is a godsend since health costs usually increase with age. Therefore, its extremely important to achieve a minimum of ten full years of service to achieve lifetime retiree benefits as soon as age 55. For tier 6 employees its 15 years of service. For tiers 1 to 3 its only five years. A teacher can take up to 75% of their MACP funds from their pension or 75% of the TDA balance as a loan. I strongly suggest that you take the loan from your MACF in your pension since, if you pay the loan back before you retire, your pension is unaffected. On the other hand, taking a loan out of the TDA will reduce your balance and lose interest and appreciation during the time you take out the loan. If you still have an outstanding loan, your pension will be pertinently reduced by $75 for every thousand dollars owed (amounts vary) and can result in almost $3,000 less in the yearly pension. Teachers close to retirement are tempted to take the single payer option, even if they are married. This is called "pension max" and instead of having their pension reduced to 85-92% by covering the spouse, the educator takes out a life insurance policy on the spouse with the savings by taking the maximum pension. I personally would not use this risky approach and I strongly urge all future retirees to compare their own circumstances and read up on the pros and cons of "pension max". Realistically there are very few Tier 1 and 2 members left in teaching and I didn't include them in much of my post. However, the very few that are left have 40 or more years in the system and they are usually no longer in the classroom. These educators can contact TRS for more information specific for their tier. Tier 3 members can and usually automatically convert to tier 4 since tier 3 employees have a social security offset that can reduce their retirement benefit by 50% of your social security benefit that came from public service. 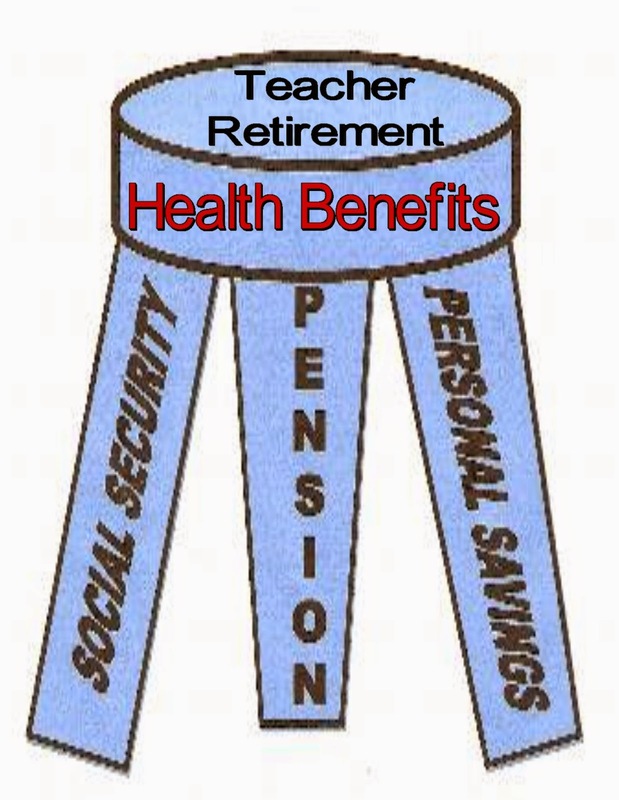 Moreover, tier 3 educators who retire before age 62 have a steeper reduction rate that results in a more reduced pension. Finally, tier 3 members are limited to 60% of their final three years for pension purposes while for tier 4 is unlimited. 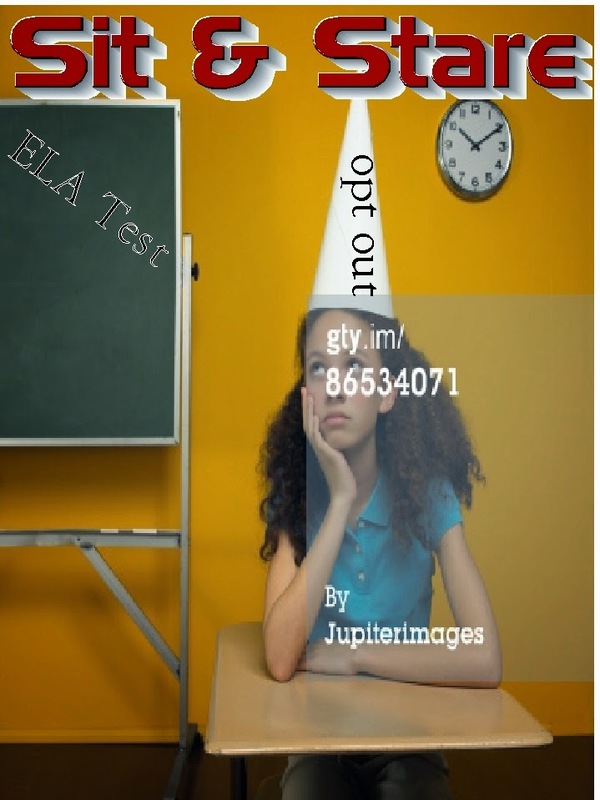 Therefore, almost all tier 3 educators convert to tier 4 status. Tier 5 and 6 employees must pay into the pension system during their employment and have slightly inferior calculation methods that may result in a reduced pension. Two years ago I wrote an article comparing the tier 6 pension to the tiers 4-5 pensions here. Further information can be found comparing the six tiers from the New York State Teacher Retirement System website. 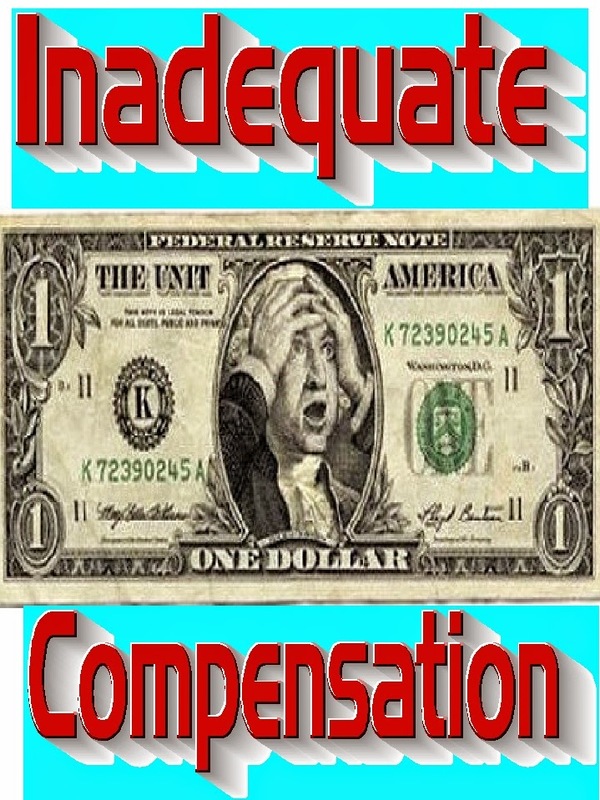 An educator can convert their accumulated sick days into either termination pay until it runs out or get three lump sum checks every six months. By taking termination pay the educator keeps their salary, contributes to the TDA, and accumulates pension credit until the sick days are used up. In both cases the "2 for 1 rule" applies. Meaning for every day of payment or termination pay, two days are taken from the CAR. The termination pay is only good for one semester, if an educator still has days in the CAR, its converted to a lump sum payment and paid six months later. Educators get three times their final three year salary if they die in service. If they die within one year after retirement they get 50% and within two years 25%. After that its 10%. If you worked for any State or local government outside the DOE in New York State, you can and should buyback the time. It's to your advantage to do so. TRS will work out a buyback plan to ease your payments. Remember for most of us, every year in the system will increase our pension by 2%. Call TRS and send them a request to buyback the time. The COLA to the pension is given to the first $18,000 of a retiree's pension and starts five years after retirement or 62 if the educator retires at 55, you must wait ten years for the COLA to kick in. .The yearly COLA is 50% of the Consumer Price Index (CPI) and has a 1% minimum but cannot exceed 3% in any one year regardless, even if the CPI is greater than 6%. For more information call the UFT and ask for their "Pension Handbook". I believe it costs $9 and tell them what tier you are in. For more detailed information and if you're within five years of retirement, then call the UFT Borough office for a pension consultation. You are entitled to have one every year until you retire. However, you can only have one "final retirement consultation" so use it the year you intend to retire. Note: The age correction factor for the pension is 55, 0.73, 56, 0.76, 57,0.79, 58,0.82, 59,0.85, 60,88, 61,0.94, 62,1.00. The Reason Why ATRs Should Be Put Back Into The Classroom. It Helps Student Academic Achievement. The Wall Street Journal's education reporter, Leslie Brody wants to talk to ATRs about their situation and what should be done to the ATR pool. She contacted Norm Scott and told him that the she wants to "untangle the weeds of the ATR pool and see it's very complicated". Ms. Brody claims she will write a fair and accurate article. Personally, since she works for the Wall Street Journal, and like all the City newspapers who continually call us "bad or unwanted teachers", I highly doubt it and even if she tried to be fair, I'm sure her editor will make sure the ATRs are cast in a negative light. However, while I will not speak to her, my blog represents my view of the ATR pool and what should happen next year. 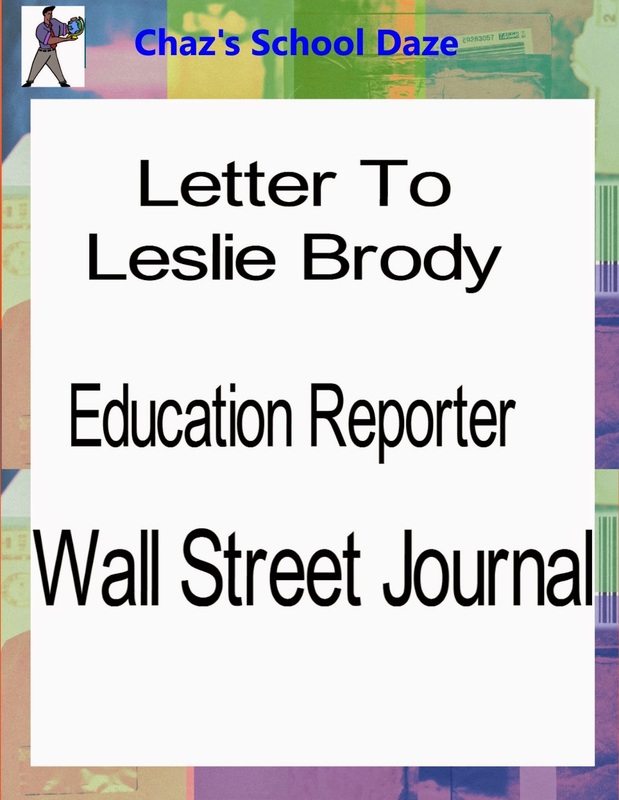 Here is my letter to Leslie Brody. The ATR pool consists of over 2,000 (not 1,000 the DOE or 960 the UFT claims) ATRs. Included in this group are teachers, guidance counselors social workers, assistant principals, and school secretaries. The DOE and UFT, to avoid embarrassment, do not include ATRs who are temporarily in schools as "leave replacements" and "provisional appointees" and who will be back into the ATR pool at year's end. The ATR pool is composed of mostly senior educators with the average age in their 50's and fifteen or more years of experience. These educators came from closing schools or schools that needed to reduce staff, and educators targeted by principals that survived their termination hearings. The ATR pool was formed when the DOE and UFT agreed in the infamous 2005 contract that no excessed teacher need to be placed in a school in their district and that Principals can hire outside of the school system regardless of how many excessed teachers in the subject area were in the district. To ensure that highly experienced teachers would not be appointed, the DOE imposed the "fair student funding formula" on the schools and forced principals to include teacher salaries in their budget. The result was that principals had an incentive to hire the "cheapest" and not the "best teachers" for their school since it would save money in their increasingly tight budget. To make matters worse the UFT unwisely proposed the weekly rotation where ATRs are sent weekly to different schools and the DOE eagerly agreed to it for the 2011-12 school year going forward. The weekly rotation has proven to be a disaster, its dehumanizing, non-professional, and wastes talent and money which costs the DOE $160 million annually for "glorified babysitters". How depressing it is to be a "stranger in a strange land" in a different school every week. I personally put in over 20 requests for vacant positions through the Open Market Transfer System in the last three years and received not one interview! Many in the ATR pool are "quality teachers" and are long-term teaching professionals, we are the teachers that Mayor Bill de Blasio should want to retain since we are not likely to leave for greener pastures as less experienced teachers do. Furthermore, by placing the ATRs back in the classroom where we belong, the City achieves their goal of reducing class sizes without additional cost since we're being paid anyway. Finally, we bring with us deep curriculum knowledge, classroom management skills, and most importantly a passion for teaching and connecting with the children to see them achieve their academic goals. Unfortunately, that will not happen until Chancellor Carmen Farina ends the destructive "fair student funding", freeze outside hiring, and once again make educator salaries as a unit and come from DOE Central as it was done for decades. It wouldn't be a bad idea to give principals an incentive to hire us as they did once before. ATRs should be back in the classroom if the City really wants to put "children first" and see real academic improvements for the public school students. Ms Brody, while I only speak for myself, I suspect I speak for the majority of ATRs who just want a chance to be back in a classroom with our own students and help them reach their academic potential. Note: There is a deliberate misconception that the DOE picks up part of the ATR salary if a school selects an ATR to fill a leave replacement or vacancy. The DOE only picks up the difference in salary between the ATR and the salary of the teacher the ATR is replacing for the first year only! If the school decides to pick up the ATR for the second year the ATR's salary must be included in the average teacher salary of the school and comes out of the school's budget. Therefore, very few, if any, ATRs are picked up the second year since it will cost the school money. There's little question that there has been a coordinated attack on teacher "due process rights" State after State and school districts throughout the nation have various proposals and sometimes new laws that either diminish or eliminate teacher tenure and their "due process rights. The latest is the State of Kansas which has eliminated teacher tenure and is awaiting the Republican Governor's signature to become law in the next school year. This follows a deterioration of teacher "due process rights" in many places throughout the nation. This attack on teacher tenure follows similar laws passed in North Carolina, Arizona, Virgina, and Connecticut. These changes follows the State's adoption to the "Race to the top" federal funding that requires that a teacher's evaluation be attached to high stakes testing using the "Common Core" standards. In every State in the nation corporate education reformers have attacked teacher "due process rights" for example a major plank in StudentsFirst is the elimination of teacher tenure. While the corporate reform mole, Educators 4 Excellence, published a white paper asking that layoffs be based upon evaluations and the enemy of all teachers Democrats for Education Reform wants to eliminate teacher "due process rights" entirely. Other corporate reform funded groups have proposals that eliminate teacher tenure, scale back "due process rights" and include merit pay proposals. Even in labor friendly New York State, the corporate education reformers and their media allies continue to attack teacher tenure and "due process rights". Lately in demanding a time limit for ATRs and making the teacher evaluation system a termination program. For the former, ATR NYC has an article dealing with how the nation handles excessed teachers. In the latter case the hypocrite Governor insists that the badly flawed high stakes testing be up to 40% of a teacher's evaluation despite his acknowledgment that the tests should not be used as student scores. Finally the clueless Campbell Brown wants the Chancellor to terminate any teacher accused of sexual misconduct regardless if it's true or not. The reality is that teachers need tenure protection and "due process rights". Teachers interact with between 32 and 150 students on a daily basis. These children have incomplete personalities and are very implosive and take offense to the most innocent action. A student can have a bad day and take offense what a teacher says or does and if the administrator doesn't like the teacher, charges of incompetence or misconduct will be the result. Without teacher "due process rights" any accusation would result in the teacher's termination. With teacher "due process rights" the school district needs to prove the accusations were true and that means gathering real and relevant evidence, not relying on gossip, hearsay, or innuendo as is the case when OSI and SCI commence their investigations and "substantiates the charges based upon talking to the Principal who wants to teacher gone from his school, evidence or not. If it wasn't for our "due process rights", I could most certainly would have been terminated in 2007 when SCI "substantiated" the hearsay, gossip, and innuendo that is common in high schools. It made little difference that there was no real or relevant evidence of the charges since the Principal wanted me gone from the school and SCI obliged him. Would the Chancellor give me a fair hearing? Just look at the UFT's record on "U" rating appeals (0.2% was successful) to know my fate. Instead because of my "due process rights" I had a hearing in front of an State arbitrator who ruled in my favor and gave me a "slap on the wrist". That's why teacher "due process rights" are important. It can and will mean your job if we don't have it. Why Aren't Administrators Being Brought Up On Corporal Punishment Charges For Their "Sit & Stare" Policy? Thousands of parents rightly refused to have their children sit for the poorly-devised and high-stakes NYS testing using a "Common Core" curriculum that was not readily available to the schools. While most school administrators allowed the students who "opt out" of the tests to either go to the school library, watch a movie, or sit and read a book, some vindictive administrators practiced corporal punishment. These vindictive administrators forced the children to "sit and stare" in their seats while the rest of the class was taking the State ELA test. What is "sit and stare"? 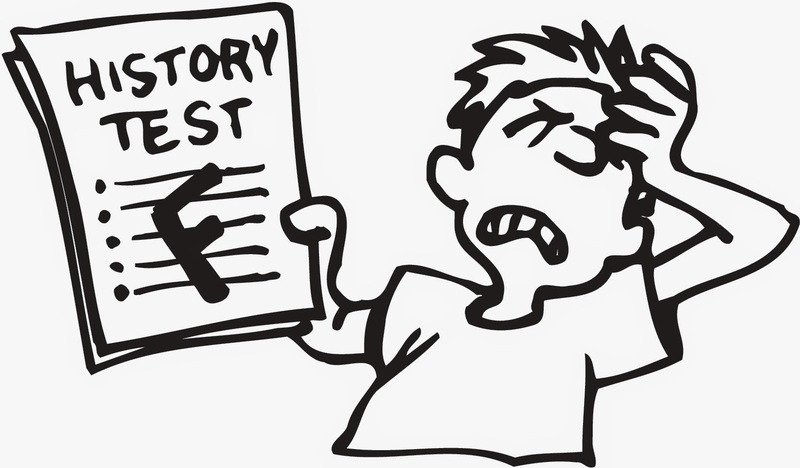 it is a punitive weapon used by school administrators to punish parents by having their children "sit and stare" by giving them nothing to do during the State test. While there is no physical abuse, there certainly appears to be mental abuse by forcing the child to "sit and stare" for almost two hours and to me that's abuse and hence "corporal punishment". The definition of "corporal punishment" is here. If I was a parent of a child who "opt out" of the State ELA test and was forced to "sit and stare", I would contact the State and claim that "corporal punishment" was done as a retaliatory measure by the administrator against my child who was "opting out" of the test. Child abuse, whether its physical or mental is abuse and that's "corporal punishment" to me. Changes The Union Must Push The DOE To Do For The Next Contract. Presently, the union and the City are negotiating a new contract and there is optimism that a final contract will be hammered out by June. What should the contract include beside the money owed to the educators? Here are some of my suggestions that our union should be insisting on that it include in the negotiations and the final, agreed upon, contract. A fair and less punitive "teacher evaluation system" with a significant reduction in paperwork and having a "peer review" as part of the system. Every school I travel weekly to, the teachers are under stress with too much paperwork, a fear of snapshot observations, and administrators who are using the Danielson Framework and Common Core as a weapon against teachers they target. Elimination of the perverse "fair student funding" process which encourages school principals to hire the "cheapest" and not the "best teachers" for their students. Eliminating and not changing the "fair student funding" as Chancellor Carmen Farina wants to do, is the only acceptable approach. 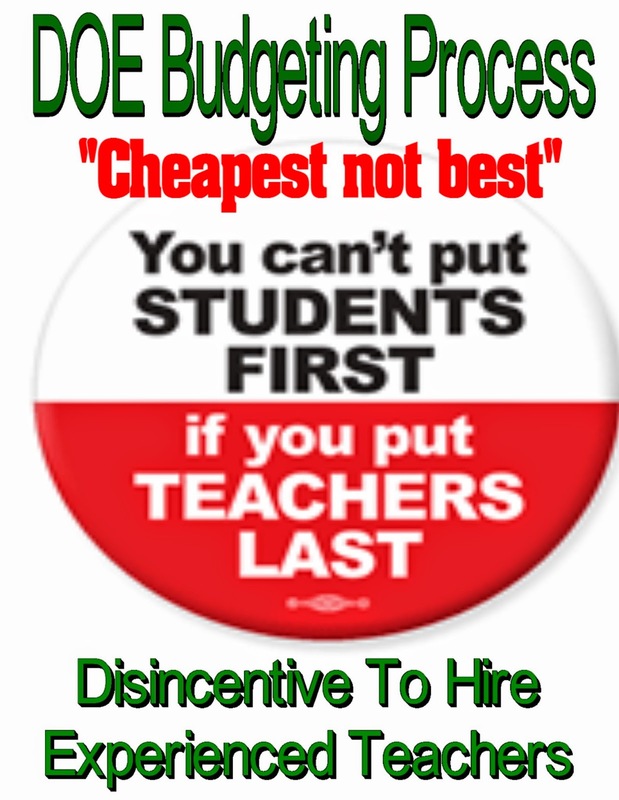 All salaries should come out of DOE Central and not the schools. Since all of us are DOE employees, our salaries should come from the DOE. In turn, the DOE allocates teaching units to each school and the school can hire a "quality teacher" without worrying about the teacher's salary. Another advantage would be that principals would be less inclined to abuse the "sixth period" for teachers since there would be little incentive to give teachers a "sixth period" since all funding for teacher salaries come from the DOE and not just the sixth period classes. The end of the ATR pool by bringing back the excessing requirements. No outside hires are allowed if the District has teachers in the subject area in excess. All hires from the ATR pool are "provisional hires" and at the end of the school year the Principal and teacher will decide if the school is a good fit and if so, the teacher is appointed and given building seniority. If not the teacher is excessed and will apply for vacancies in their District for the next school year. 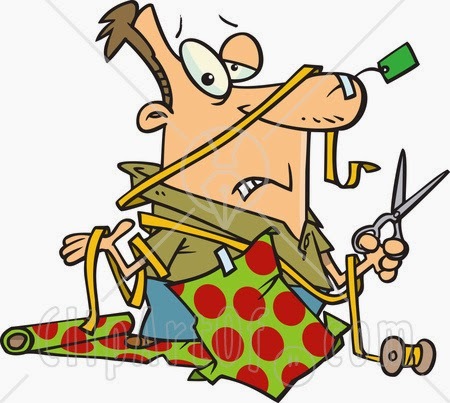 For teachers who were subject to discipline that had a substantiated OSI or SCI report but whose charges were found to be embellished, frivolous, or untrue by an independent State arbitrator in the 3020-a process, should have the discipline flag removed from their files. These termination charges could not even reach the level of the "preponderance of evidence" standard used in these matters and its unfair to label the educator as guilty of these accusatory charges when the evidence showed they were not. The 'scarlet letter" was eliminated in the 1700's and the DOE should not be using it now. The MORE caucus has this in its contract demands and our union should as well. Finally, eliminate "circular six" and if Chancellor Carmen Farina wants more "professional development" use the "circular six" time for it. The ATR Advisory Committee Discusses The Issues But Many Of Them Remain Unresolved. Last week the ATR advisory committee met with the UFT's Michael Sill on our first formal meeting to discuss the issues dealing with the ATR pool. Mr. Sill started the meeting by handing out the agenda and all the agenda items were discussed. The first item on the agenda was scanning and signing in. Mr. Sills told the committee that no ATR should be put through scanning if the teachers in the school don't need to and the ATR should only sign in on the first day at the school. The discussion expanded into ATR rights in the school and Mr. Sill made it clear that ATRs should only do one circular six assignment daily and only if the teachers in the school do it such as cafeteria duty, or hall patrol. ATRs should do only what the teachers in the school do, if its part of the contract. If a school is not following the rules then we should contact the Chapter Leader and call Michael Sill immediately and he will attempt to get the problem resolved. The next item on the agenda was the status of contract negotiations. Michael Sill informed us that "Amy Arundell" is on the UFT negotiating team and has been assured that an ATR time limit is not a negotiable item. UFT President Michael Mulgrew has stated that time and again and according to Mr Sill, the UFT's position is that the ATRs should be back into the classroom and that the "fair student funding" should be eliminated with teacher salaries coming from DOE Central not the schools. 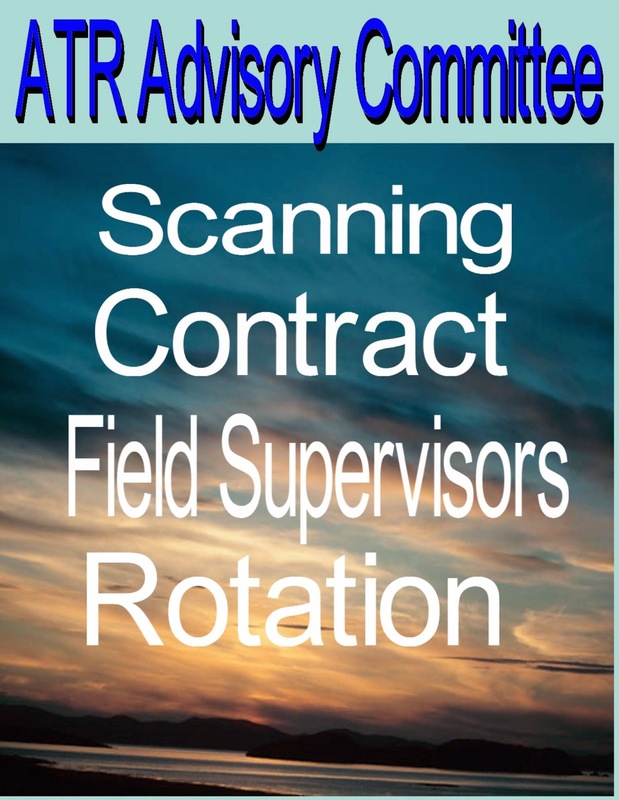 The third item was the the contentious issue of the ATR field supervisors. Mr Sill reported that there are 24 ATR field supervisors in the City and so far only 6 of them came to his attention as being unfair to the ATRs. Mr Sill told us that he and Amy have spoken to their DOE counterparts (unnamed) and complained to them about how some of the field supervisors are playing "gotcha" (my word) and "U" observing ATRs. According to Mr. Sill the DOE was receptive to the complaint and has instructed the people in charge to speak to the field supervisors about giving a fair observation. Nobody on the committee appeared satisfied that things will change and I stated that the process itself was unfair since we have no ownership or familiarity with the students and that "time and attendance" should be the only rating criteria for ATRs. Also many field supervisors are demanding "rigor" and higher level critical thinking instruction which we all believe is next to impossible to do without a detailed knowledge of the students. The final item on the agenda was "other matters" and that dealt with the continuation of the weekly ATR rotation system for the next school year. 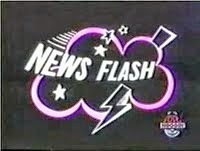 All the committee members believed the weekly rotation was humiliating and should be discontinued. I ask for a show of hands and 9 of the 10 member committee voted to end the weekly rotation system if they could. The lone dissenting member didn't care either way. The Ideologues At The DOE Finds Another Way To Waste Money At The Expense Of The Students. A highly-regarded large comprehensive school located in Northeast Queens has a serious financial issue and ended up owing the DOE $240,000 for the 2013-14 school year. Despite excessing 20 teachers and having the second most oversized classes in the City as the school year started. The DOE put the school on an installment plan to pay the DOE back the money it owes. The school has since suffered from packed classes, lack of resources, and encouraging many teachers to take a "sixth class" in their subject area to save on teacher salaries. This spring a Physical Education teacher decided to retire and her classes were given to an ATR with a Physical Education license for what was assumed to be for the rest of the year. The school put the ATR's name on the attendance sheets and the school report cards for the students. However, after six weeks of being the teacher of four gym and one health class the ATR was given a new school to go to the next week. Thinking it was a typical DOE mistake, the ATR spoke to the Principal who was told by the DOE that it was no mistake, since it would cost the school an extra $9,000 to keep the ATR at the school to the end of the year and the school does not have the money to pay the DOE. Therefore, the ATR must go back to the weekly rotation pool.. When the Principal inquired about fundraising through the PTA to cover the $9,000 the DOE's response was that if the school made $9,000, then the DOE would take it as payment for the money the school still owes. The Principal didn't want weekly rotating teachers for the five classes so he did the only thing possible. He gave the five physical education teachers a "sixth period". Since the DOE pays for the "sixth period for teachers in their subject area", the DOE will now be giving the school an extra $27,000 to cover the "sixth period classes". That's right, the DOE refused to give the school $9,000 to keep the ATR for the year or even to allow the school to fundraise to cover the cost. Instead they are giving the school $27,000. Go figure? This is just another example of the ideologues running the DOE.with their ideology being more important than what's most important for the students, Just another case of "children last". You just can't make these things up. The UFT and DOE have agreed on a nine year contract that includes "retroactive raises"and "service credits" that will allow veteran teachers to retire. As part of the contract the ATRs will be going back to the classroom...as pre-K and charter schools teachers. UFT President Michael Mulgrew called it a "win win for all". Charter schools will be offered all the trailers now used by public schools, since the trailers are good enough for the public school students, they are good enough for the charter school students. Eva Moskowitz sent out a statement to the press thanking Mayor de Blasio for the trailers. "I never wanted the Chancellor's position but after a worldwide search, I was the only person I know who was as smart as me so I accepted the position to help the education reformers, oops I mean the students to achieve their goals"
The DOE announced that with a change in attitude at the top, the money saved by cutting school budgets will be used to pay for more accountability experts for even more data mining, high-priced consultants, and lawyers for the "gotcha squad" who will be very busy in terminating teachers at the end of the 2014-15 school year. 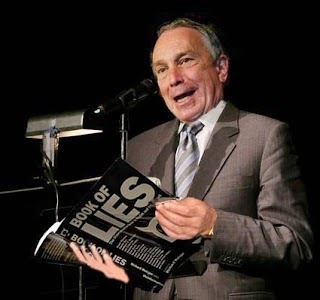 In other news, ex Mayor Bloomberg wrote an apology for all his anti-teacher actions during his 12 year tenure. He blamed the demoralization of teachers on ex-Chancellor Joel Klein. That's why he put Dennis Walcott in charge since he needed a pet poodle who would follow his every whim without question. Mayor Bill de Blasio was happy he was cheered at the Mets opening day game and promised to support the New York City horse carriage business after finding out how much Con Edision charges for electricity for his vintage electric cars. He was allegedly quoted as saying "better stepping in horseshit, then going broke"! BY THE WAY APRIL FOOLS DAY!!!!!!! !